Keep frozen at -18°C. Do not refreeze once thawed., Once defrosted, keep refrigerated and consume within 2 days. 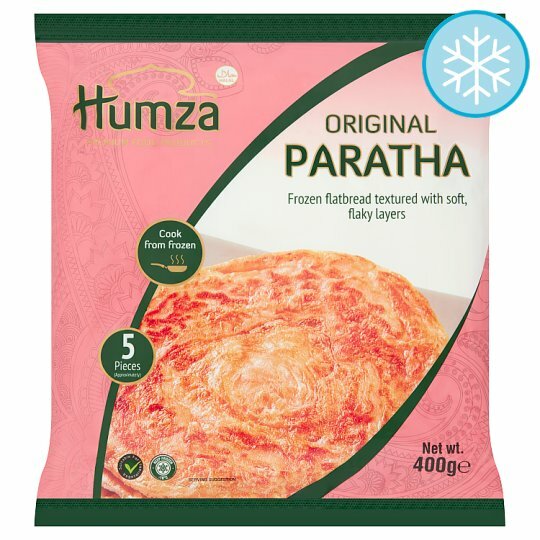 Shallow Fry (From Frozen): Remove Paratha from the freezer. Do not defrost, as this may make the dough too sticky. Peel the plastic layers from both sides of the Paratha and place it on a preheated non-stick frying pan. Wait for 1 or 2 minutes and turn over. Press the Paratha gently. When both sides are golden brown, remove the Paratha from the frying pan. Serve Immediately. Not suitable for heating in microwave oven.